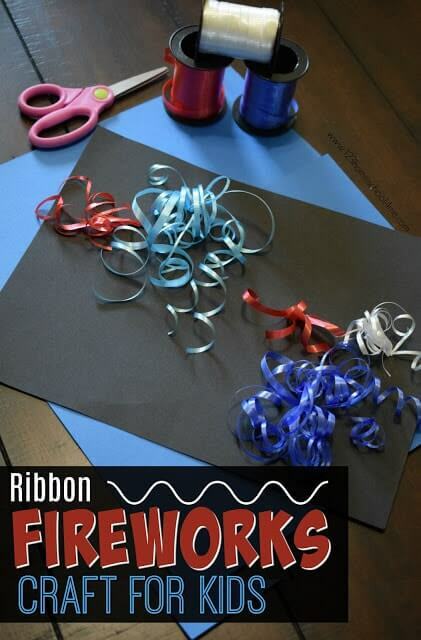 This is such a fun, unique fireworks craft for kids of all ages that uses curling ribbon! It is perfect for fourth of July or summer bucket list. 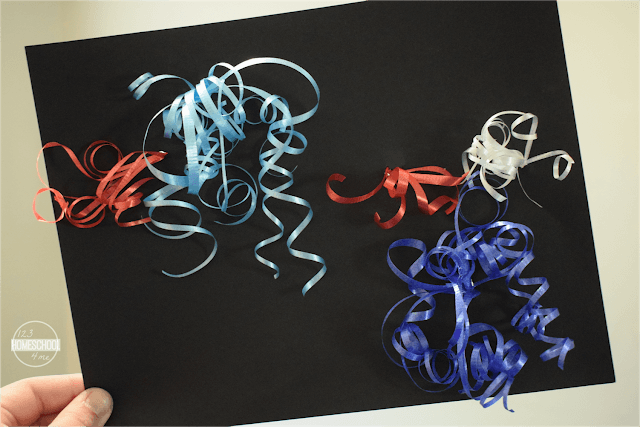 For this firework craft all you need is black construction paper, scissors, and curing ribbon. 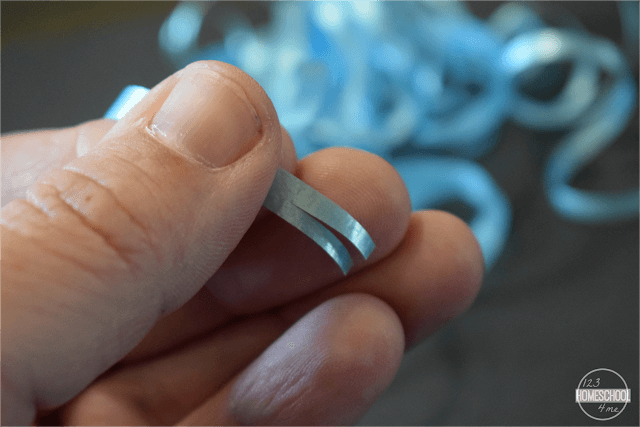 Cut together several strips of curling ribbon. You will want at least 3, but can go up to 10 or so to get really full fireworks. 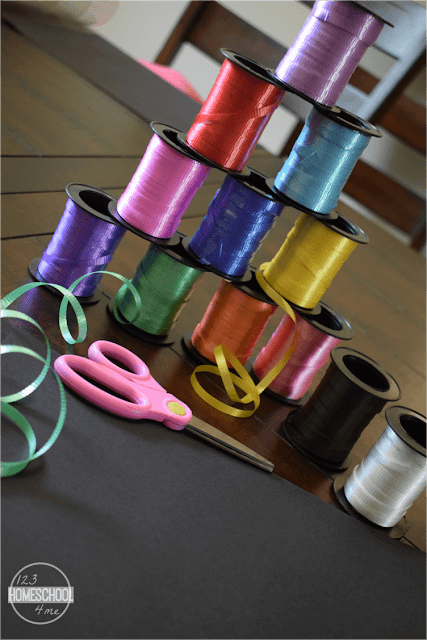 Insert the stack curing ribbons into a hole you create in the black construction paper using either the point of the scissors or hole punch. 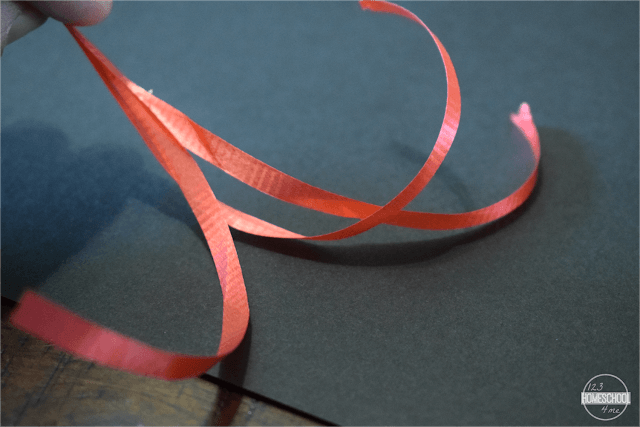 Tie together the curling ribbon at the end on the backside of the black construction paper. 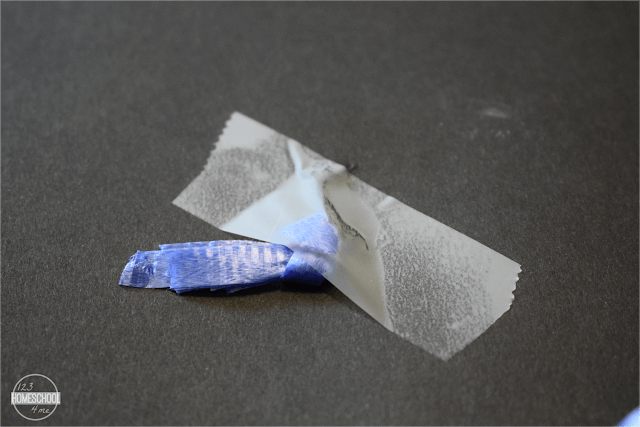 To keep the project nice and flat and secure, I suggest using tape to secure the knot to the back of the construction paper. 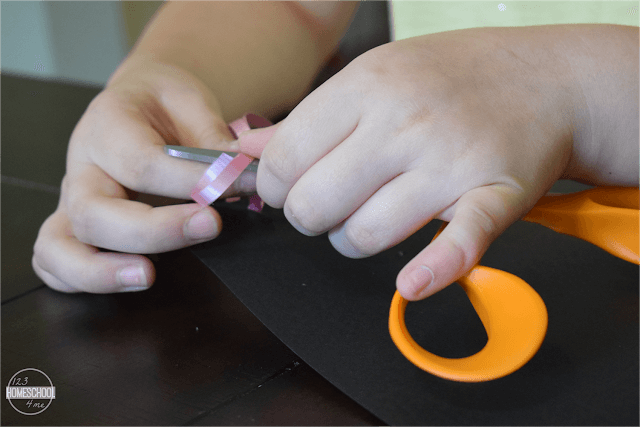 Show your child how to hold the curling ribbon (close to the construction paper) against the straight edge of scissors and sweep to the end to make the ribbon into a tight curl. 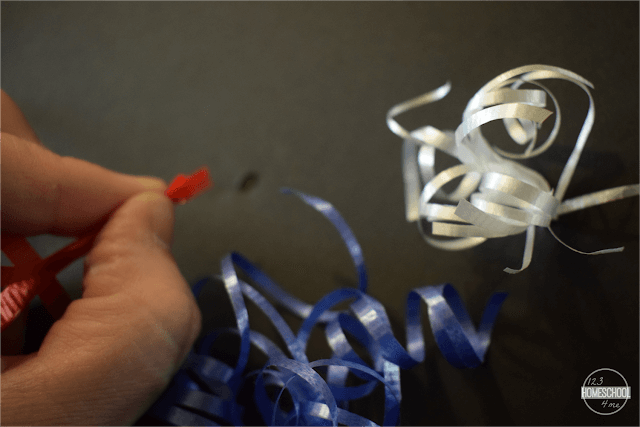 After you’ve curled the ribbon, you can double the spray effect by using scissors to cut in the middle of a ribbon and gently pull it apart to create two (thinner) firework curls. 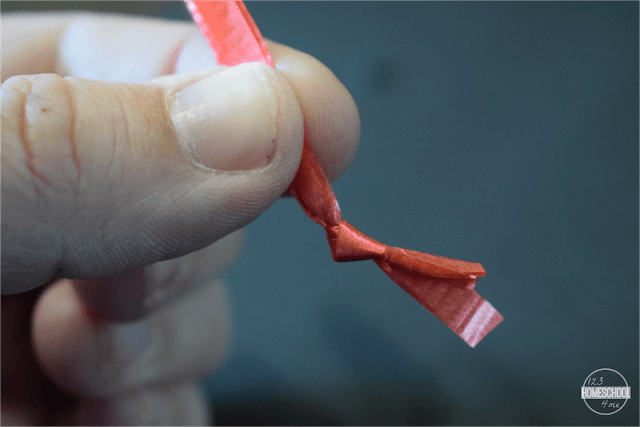 Here is a very simple curling ribbon firework using 3 strips of ribbon where each ribbon was pulled into 2. Here is one of our beautiful fourth of July crafts. 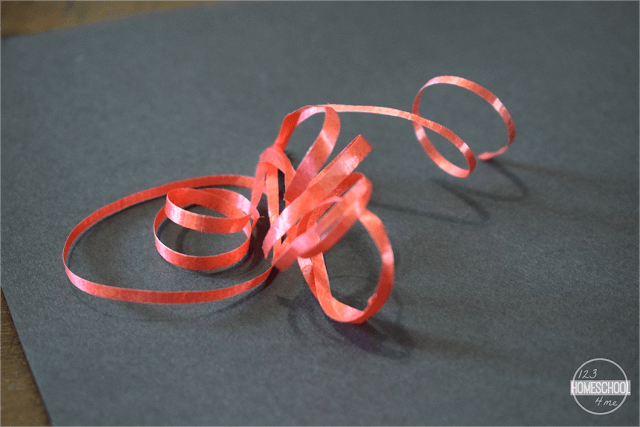 Notice how some are fuller (using more ribbons to start with), thicker (not split in half), and some with a variety of lengths to create dimension. 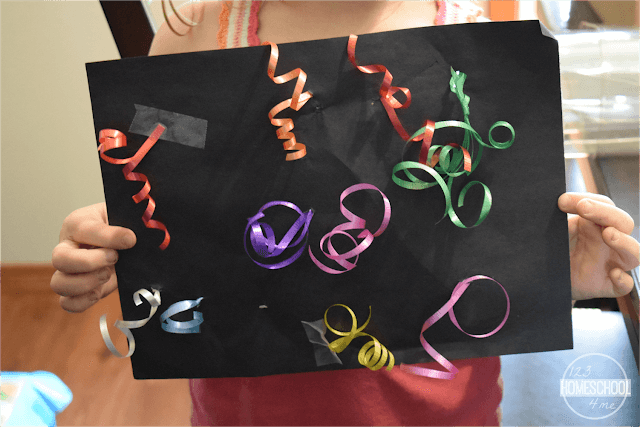 This craft is great for kids of all ages! Here is my daughters colorful fireworks craft my 7 year old made. This makes such a fun, colorful fireworks craft that has so many options for kids from kindergarten to middle school. Dying Easter Eggs with Rubber-bands?!?! ?